Happy Monday! A quick card to share today that I made using one of my favorite new stamp sets, You've Got This! To make the flower I used our new In Color Peekaboo Peach stamped on Peekaboo Peach cardstock, then, "colored" the center of the flower with Wink of Stella! I used up a little bit of seam binding ribbon from my stash to finish it off! 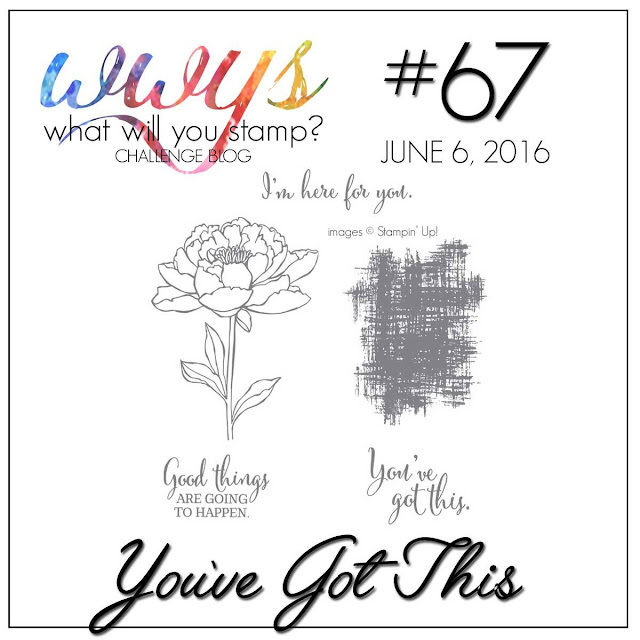 Make sure you go check out all the gorgeous cards from the other What Will You Stamp! designers today... they are gorgeous! Such a sweet card! Fab color combination. 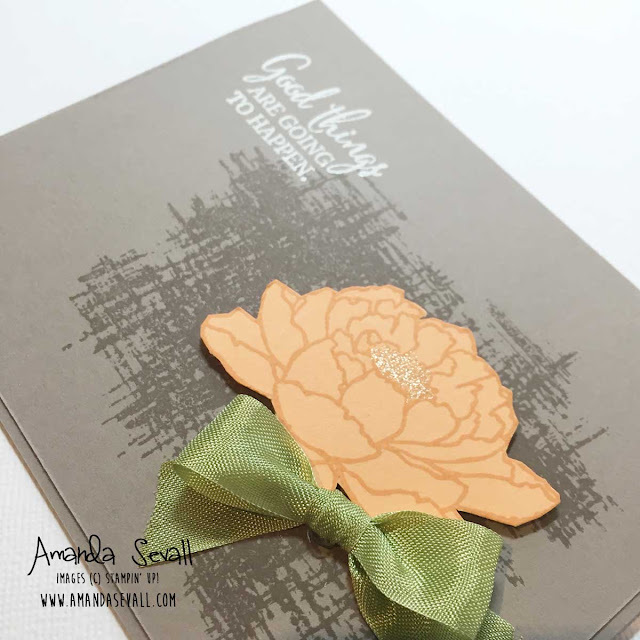 Love the warm color combination and the simplicity of this card with just that little sparkle. Very classy! Card: You Are Just the Nicest.